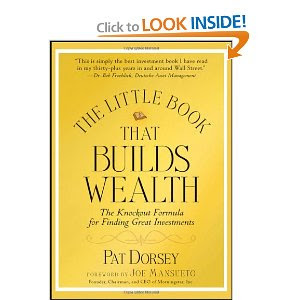 Dorsey now brings it all together in this chapter, taking the reader through the multi-step process of determining whether a company has a moat. First, he looks for returns on capital; if a company hasn't proven it has a moat with strong returns, you probably don't want to pin your hopes on it. Second, he tries to identify the moat, and determine whether it will continue or is subject to erosion. Finally, he attempts to ascertain how strong the moat is and whether it is likely to last a long or short time. After discussions of each company, Dorsey concludes that Deere, Arch Coal, and Fastenal have moats (of varying degree, however) while Martha Stewart Omnimedia, Hot Topic and Pier 1 do not.